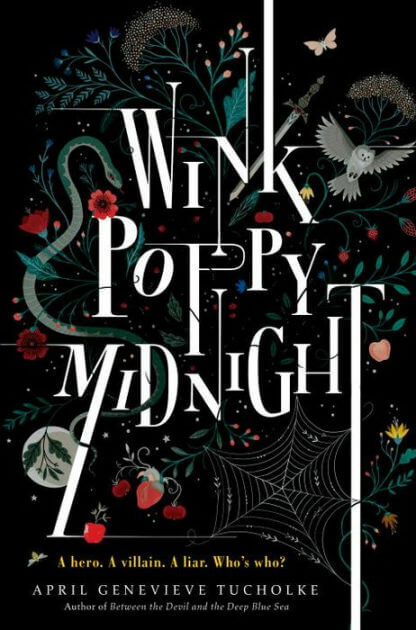 Like many YA readers, my first introduction to your work was through your debut novel, Wicked Lovely. In Seven Black Diamonds, we return to the world of the fae, albeit a different one from the setting that made you famous. Lilywhite Abernathy is the daughter of an organized crime boss. And if that weren’t enough, she is also half-fae. In the world of Seven Black Diamonds, there’s a war raging between humans and the fae. The cause is sadly a familiar one: the unborn child that would have united the blood of the Seelie and Unseelie Courts died due to human negligence. The child’s mother, the appropriately named Queen of Blood and Rage, declared vengeance for the loss of her heir and the rest, as they say, is history. As part of her war on humanity, the Queen has created faerie sleeper cells. Faerie children are sent to the human world, raised in their society, and then when activated, would commit terrorist acts upon humankind. Guess what Lilywhite happens to be? There’s only one problem. Lily has no idea that she’s one of the Black Diamonds, so when the other members of her cell come knocking, her first instinct is to refuse. Too bad there’s no refusing the Queen of Blood and Rage. First things first, I want to make something clear. This book does not take place in the same world as the Wicked Lovely series. Even if you go in with that expectation like I did, you’ll realize the truth very early on. I just want to spare other readers the moment of disorientation that occurs when you discover this is a brand new faerie world. I don’t know if it’s just that I’ve gotten used to YA that limits the number of POVs, but I found the constant shifting of POV from chapter to chapter a bit irritating. It seemed like every time I was settling into one character’s head, we jumped to someone else. Normally, rotating POV would add suspense and tension – George RR Martin used this technique to great effect in the early A Song of Ice and Fire books – but it doesn’t in Seven Black Diamonds and for me, there was one big reason. The pacing is strange. This is a book about faerie sleeper cells! Who are supposed to cause mayhem and destruction in human society! The central lead is the daughter of an organized mob boss! I expect a fast, action-packed plot. That’s not unreasonable, right? Except there’s one problem. This is not an Ally Carter book. This is a Melissa Marr book. The Wicked Lovely books has a dreamy, lush tone to them. The writing in Seven Black Diamonds has echoes of that same style. There’s nothing wrong with that, but it doesn’t match the tone and premise. More often than not, I found myself frustrated. This book combines criminal activity and political intrigue, but the criminal activity was virtually nonexistent and the quality of political intrigue was so-so. Other people may disagree, but it was overall pretty dissatisfying to me. I also had mixed feelings about the way skin color was used in the book. Members of the Seelie Court have black skin. Therefore, humans with fae blood from the Seelie Court may have black skin, which will out them as being part-fae unless they have black human relatives. Something about this just makes me uncomfortable, because it’s about passing, outing to a society that hates you, and racial purity…except we’re using elves, not humans. It’s 2016. Are we not done with using supernatural creatures as race analogies? Seriously? That’s a great point about the pacing and tone of the book not matching the content. I never read Wicked Lovely (or anything by Marr) but I gather the tone and style were a better fit for that story? Did you like it better? i plan on reading more of you books this year.